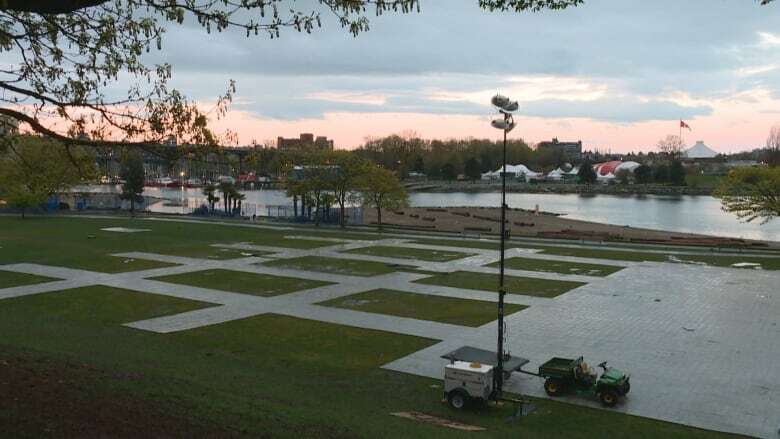 John Coupar wants staff to ask organizers to cancel the scheduled performance by the hip hop band Saturday in an effort to control crowd size and reduce the amount of damage that could be done to the park grounds. 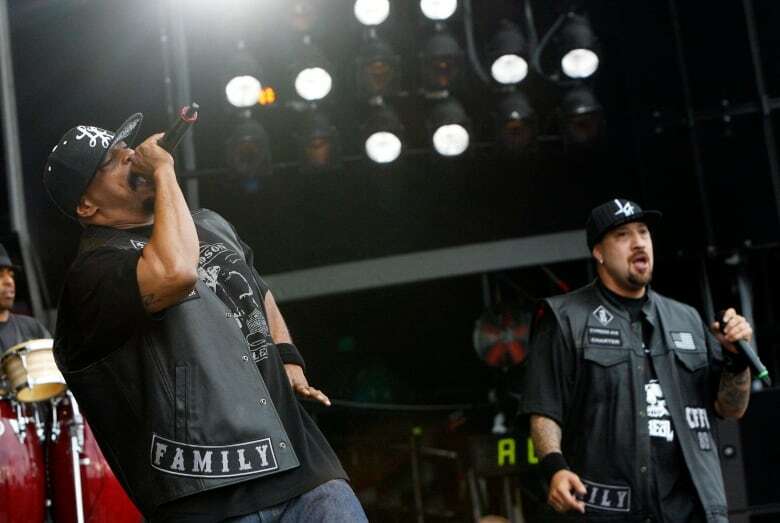 The Vancouver Park Board has passed a motion asking organizers of this year's 4/20 event at Sunset Beach to cancel a scheduled concert by Cypress Hill, but it's unlikely to have any effect. A motion by John Coupar passed at Monday's meeting, asking staff to formally ask organizers to cancel the scheduled performance Saturday — which was just announced last week — in an effort to control crowd size and reduce the amount of damage that could be done to the park grounds. "[The show] is going to dramatically increase the size of the event. We've had considerable damage [from the event] in the past, so, I think, as a park commissioner, it's my duty to say, 'Hey, this is getting out of hand,'" Coupar said. "We've been telling this [4/20] group that they're not welcome in the park for a number of years." In addition, park board will convene an urgent meeting of senior staff from Vancouver Police, Fire and Rescue Services, Coastal Health and others, to review safety issues. Sunset Beach has played host to 4/20, against the wishes of the park board, since 2017. Commissioners have refused to issue permits to organizers and asked them to move the event to a more suitable location. Because the Vancouver Park Board has limited powers, it would fall to the City of Vancouver to enforce its request if the concert isn't cancelled. However, Mayor Kennedy Stewart effectively shut the door on police stopping the concert from taking place if organizers ignore any requests made by the park board. "We've seen what happens in other cities when you have large crowds ... when you do move police in, and you think of riot police and tear gas," he said to On The Coast host Gloria Macarenko. "That's often how they're dealt with in other cities and I know some folks have kind of suggested that here in Vancouver. That's absolutely the wrong approach." Stewart reiterated that organizers would be responsible for all costs incurred at the event, and that city staff were exploring alternative locations for next year's event, which he hoped would be permitted. But he said that while he'd prefer if the concert didn't go ahead, there wasn't much he thought the city could do. "The police are already there. They're making sure the public are safe," he said. "But again, I don't think that there's any way that you want to put your police in front of 40,000 people that are expecting to come to an event. And I don't think anybody in Vancouver would think that's reasonable, especially with no time [for us] to organize." Coupar said he was disappointed by the mayor's comments. "He's had plenty of time to be on top of this file, and this is a continuation of the work that Gregor Robertson did, when he basically downloaded the 4/20 event from the art gallery to the park board," he said. "We need cooperation from the city, I'd like to see some leadership from the mayor." However, Coupar believed the motion was more than just symbolism, even if nothing about the event tangibly changes as a result. "We're sending a message. If they want to work in the future with any agencies in the city, they should consider a reasonable request from the Vancouver Park Board," he said. Last year, 4/20 attracted 40,000 people and 140 unlicensed vendors, who paid organizers for booth space. In a statement earlier this month, the city estimated last year's event cost taxpayers around $235,000, with organizers covering $32,000 of those costs. 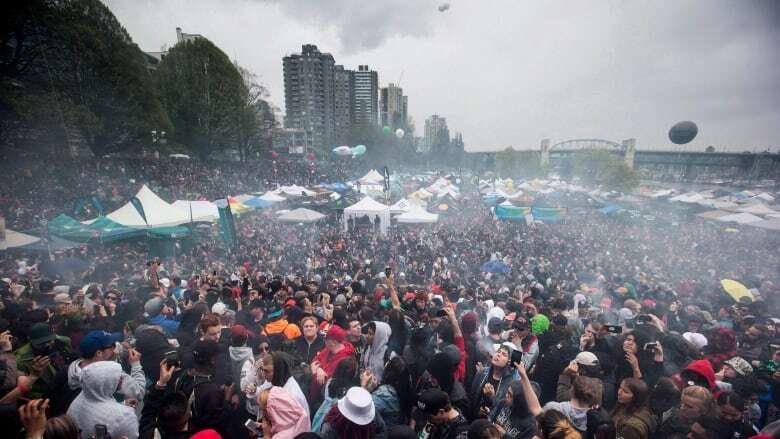 Saturday's 4/20 event is the first since recreational marijuana was legalized in Canada on Oct. 17, 2018. It is also the 25th anniversary of the first 4/20 event in the city.